Did you ever dream visiting one of the most ancient places on earth? If your answer is no, well maybe you should! But if you have been hypnotized, speechless every time you see images of this wonderful place, well this web page is the place to fulfill that dream. Mongolia is the country with less population density in the entire world, its size is huge, its particular beauty charged of nostalgia, its label. You can feel how ancient and wasted is the land. Thousands of horse riders has passed through the years, but the most famous was Genghis Kahn, the leader of the biggest empire ever. Even today you can still see the nomads caravans in the steppe, as is has been for dozens of centuries. In order to experience Mongolia you must stay a night in a Ger. 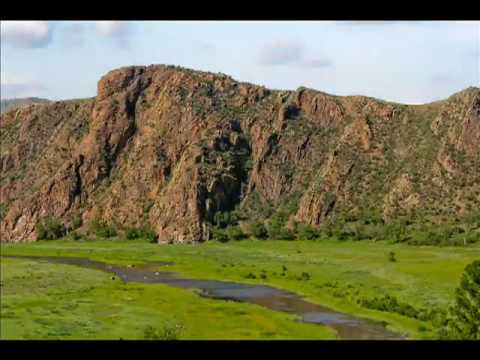 Mongolia is a beautiful big country, landlocked between Russia and China. The country has a population of a little over 3 million people, 40% of whom live in the country’s capital, Ulan-Bator. Those who live outside of the capital still follow the nomadic lifestyle, moving with their herds of goats, yaks, cattle and camels with the season in search of better pastures. The dwelling of Mongolians facilitates them in making the moves easy, typical mongolian ger can be put down by an expert nomad in 1.5 hours. Mongolia is where Genghis Khan (or Chinggis Khaan as he is known in Mongolia) was born. He created the biggest ever Empire that stretched from Korea to Hungary. The trading routes that have been established during the times of this extensive empire have become what is known as Silk Road and the Chinggis Khan policies are still being used in many areas of present-day Mongolia. Mongolian currency is tugrik, which has the exchange rate of 1600 tugrik for 1 USD. Foreign currency is only accepted in souvenir shops, for all other purchases it is necessary to pay in local currency. It can be obtained in banks, USD and EUR can be easily exchanged. It is important to know that Mongolian currency is closed so can not be exchanged outside the country. Therefore it is advised not to exchange large amounts of money and if you have much tugriks left before the departure from the country, exchange it to the currency of the next visited country or back to USD. International bank cards can be used for withdrawing money and also for payments at the department store and some restaurant. It is recommended however to avoid using your bank card for payments to avoid any fraud. There are a number of internet cafes around Ulan Bator where one can use internet at a very low price. Most hotels have Wi-Fi or a small business centre where computers can be used free of charge or at a reasonable rate. A lot of cafes have free Wi-Fi as well. Citizens of most countries need visa before they travel to Mongolia. Tourist visa is valid for 3 months from the date of issue. Visa processing time vary between 2 and 5 days. At extra cost, same day visa can be obtained. Average single entry tourist visa with normal processing time is 45$. Passport has to be valid for at least 6 months from the date beyond your exit date from Mongolia. Trans-Siberiano will provide you with the support letter for your mongolian visa once your journey has been confirmed. You can find the application form for Mongolia here. Remember to check with the relevant consulate for the most up to date application form. Be aware of pickpocketing, this has been the most widespread crime in the capital of Mongolia, especially in the antiques market. Mongolia is known to the world as country of "Blue Sky". It is called so for a good reason, on average there 253 sunny days per year! It is land-locked between Russia and China and has a continental climate, with long, cold, dry winters and brief, mild, and relatively wet summers. We believe that every season has its charm, however it is best to travel in summer to take advantage of the outdoor opportunities and to see the Mongolian steppe in the beautiful green color. Summer is the most pleasant time of the year for Mongolians: their livestock has plenty of food, thus providing a lot of milk and ensuring provision for the family. In summer takes place the main festival of Mongolians - Naadam which is known as Mongolian Olympics and consists of three manly sports: Archery, Horse-Racing and Wrestling. Summer in Mongolia is between June and September. The average summer temperature is +20°C with extremes reaching +40°C in some parts of the Gobi desert. Autumn is pleasant between September and beginning of November. Temperatures vary between 5 and 15 °C with cold mornings and relatively warm sunny days. The steppe turns yellow and the trees start changing color offering a beautiful view to the visitor. Springs are usually very windy and temperatures vary between -15 °C and + 15°C from March to May. If you decide to travel in winter, prepare for very low temperatures! Starting from November and until March average temperatures are between - 20°C and -35°C with strong winds and moderate snowfall. All rivers and lakes freeze for over 5 months. The scenery is white and beautiful, it is wonderful to experience winter in Mongolia, however it narrows down the travel options as very little can be down outdoors when it is -30°C! Mongolia tiene innumerables atractivos turísticos para todos los gustos y presupuestos, como visitas a parques nacionales al oeste del país por varios dias, tours por el desierto de Gobi desde cuatro días (con andada de camellos incluída), visita a lugares con fósiles de dinosaurios y troncos petrificados, etc. 2- Tenga especial cuidado al cruzar las calles en la Capital, el tráfico es intenso y los semásforos pueden ser sólo referenciales, mas no tan respetados como nosotros estamos acostumbrados. 3- Le recomendamos visitar algunas de las tiendas de souvenires en la calle principal de Ulan Baator, así como alguna de sus tiendas de departamentos donde de seguro encontrará cosas interesantes para llevarse como recuerdo. Trabajan especialmente bien los cueros, pieles y lanas de camello. 4- La Cachemira mongoliana es una muy refinada y exclusiva lana de camello trabajada con la más alta calidad otorgando un producto final mejor, incluso, que la inglesa. 5- Las especialidades culinarias locales son las Parrillas o Barbacoas Mongolianas, Big Streamed o unos bocados llamados "Buuz"
6- Desde la época soviética, Mongolia adoptó el alfabeto cirílico con un par de letras extra, sin embargo el idioma mogol no tiene absolutamente nada que ver con el ruso. 8- Los mongolianos son muy orgullosos de Genghis Khan (Chingis Khan) y encontrará innumerables objetos y cosas que llevan su nombre. 9- El impresionante desierto de Gobi alguna vez estuvo habitado de muchos dinosaurios, usted puede ilustrarse mucho más al respecto en el Museo de Historia Natural en la Capital. 10- A pesar de que Ulan Baator se está desarrollando y creciendo rápidamente, preste atención a las tapas del alcantarillado en las calles de la Capital, pues es común encontrar más de alguna abierta lo que podría causar un accidente evitable.